We're busy releasing a series of country guides in the Android Market. New Zealand was uploaded last week. Yesterday we added Austria, Poland and Switzerland. Today seven new ones: Belgium, Denmark, Egypt, Ireland, The Netherlands, Spain and Thailand. Some more will follow the next few days. The country guides cover the most important destinations. For the major cities they have complete city guides, with all the sights, places to drink and to eat and of course an offline map. For small cities and national parks they have concise guides that focus on what's really important. We've also included phrasebooks for the languages spoken in the country. Spain is shipped with four language guides: Spanish, Catalan, Basque and Galician. In order to keep the files size of our guides acceptable, we had to leave out stuff: in some cases we left out maps for cities of secondary importance, but sometimes we dropped an entire destination. 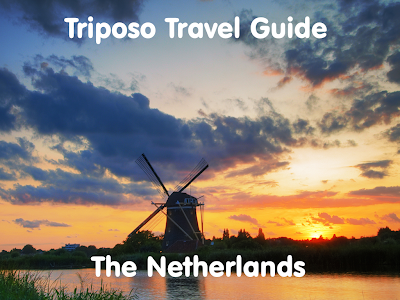 And even after those tough calls our Netherlands guide is only just under 50 MB (the maximum for Android) and guides for countries like Germany and France are just too big. We'll come up with a solution for this issue, but meanwhile we will focussing on smaller countries. There are enough of those to keep us occupied for some time. I hope one day to see a perfect android app with detailed information and moreover well-structured on different countries with even not well known and expensive sightseeing places included. A big plus would be routes, hostels, and cafes. I know that everything can be found on the Internet but as soon as one company released the easiest, the most convenient, and best structured informative app it earns as much money as for example Google. Like this top essay service is the most comfortable as for me. I like to go there and write essays. But I must confess that I used http://admission-writer.com/ for help sometimes. i never known New Zealand is the youngest country of the world with so many interesting places to visit and enjoy with your family and college life friends. A country where you will see unique and very enjoyable events and festivals and can have delicious food with your friends and family.